Rare mid 18th.c. 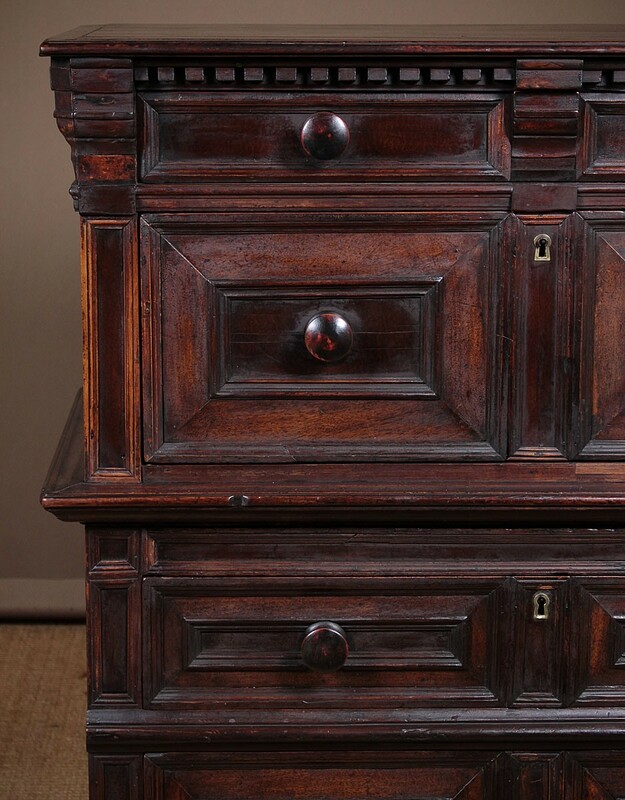 oak & walnut chest on chest c.1760. 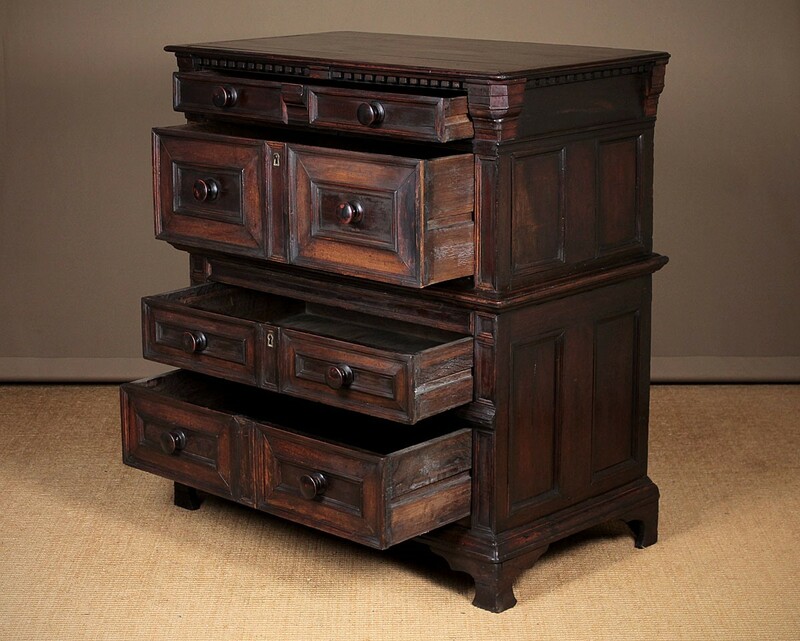 Constructed in two sections, with two long drawers to each piece. 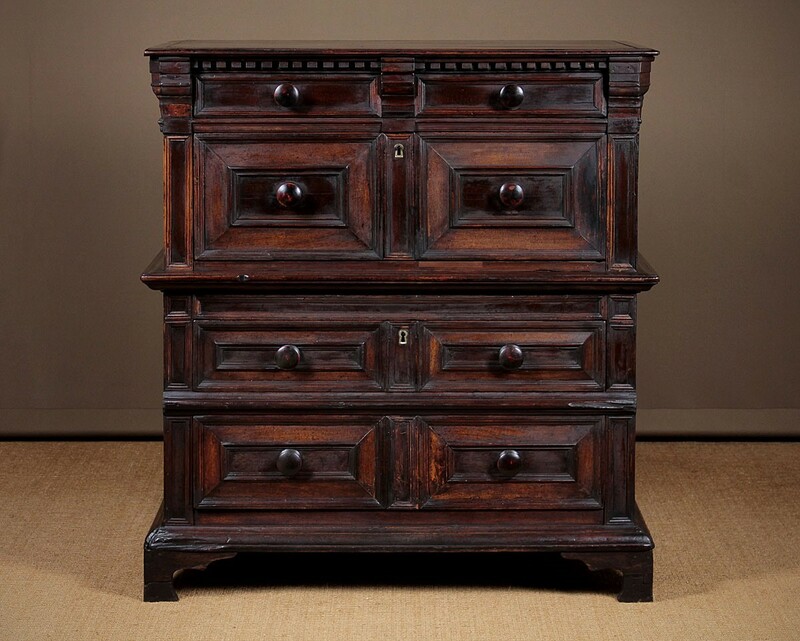 Superb decorative front featuring a dental cornice (continued on the sides) with unusual moulded detail at the corners, over walnut cushion drawer fronts with panelled centres and raised mouldings. 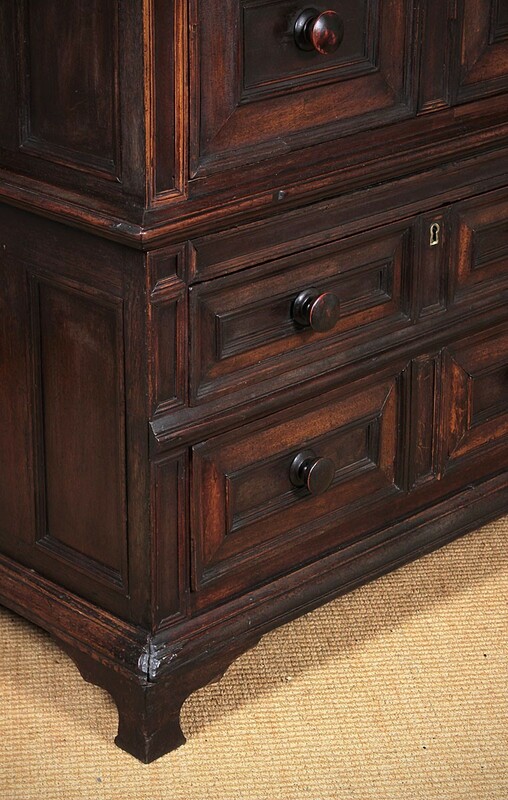 Original oversized brass escutcheons to the larger drawers. 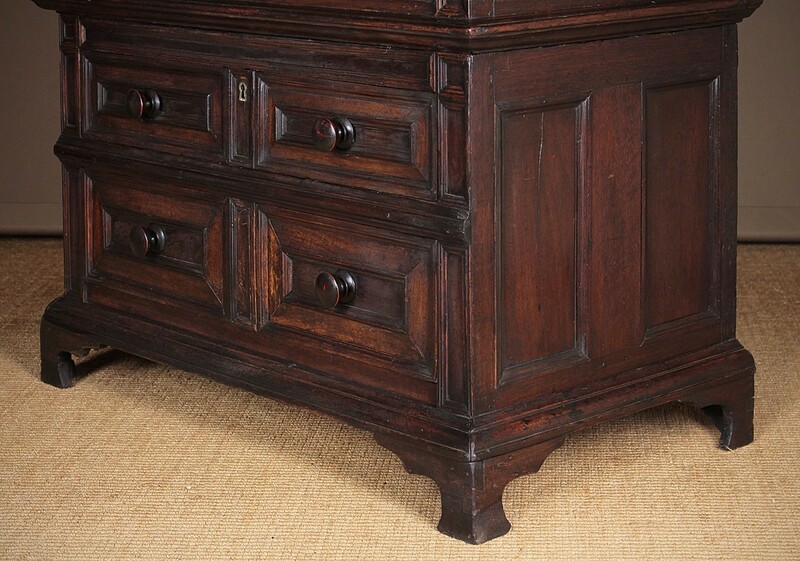 With an unusually deep waist moulding, panelled sides and bracket feet. 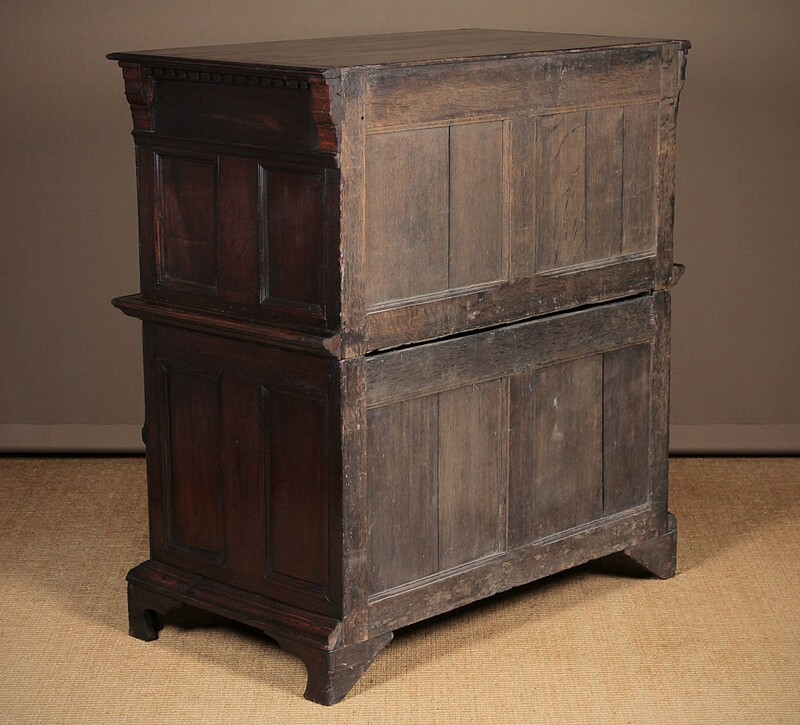 Solid oak carcass and drawer linings. Some old damage and restorations, the handles are later replacements. Otherwise very good condition, solid and sturdy and particularly good colour. 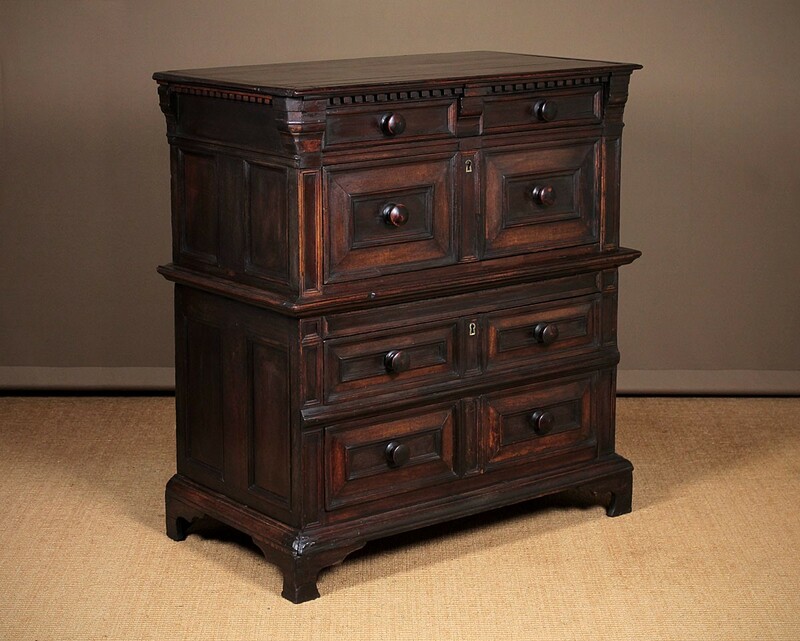 Tall Marble Top Biedermeier Chest of Drawers. 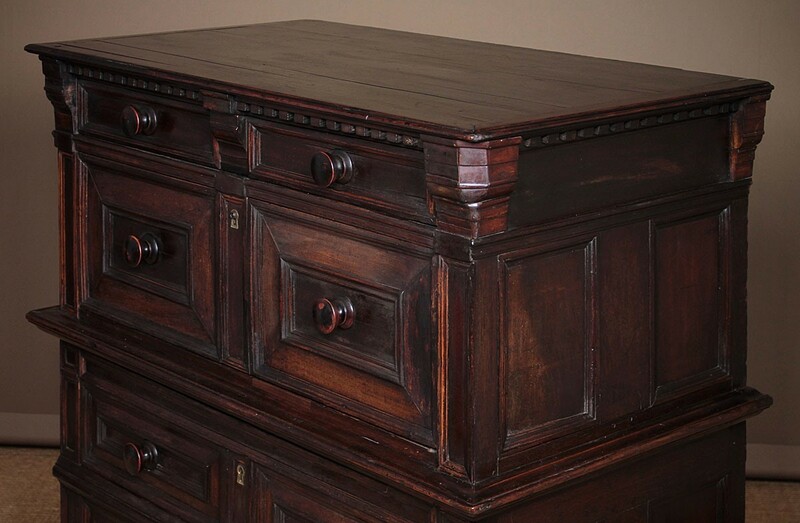 French Marble Top Mahogany Chest Of Drawers.